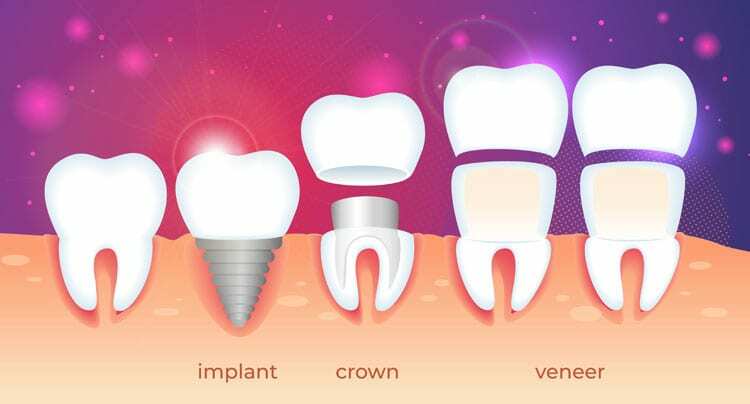 Has cosmetic dentistry got you confused about the difference between a dental implant, a crown, and a veneer? The below graphic illustrates the key differences between these types of cosmetic dentistry. Each procedure is very different and your MC Dental dentist will take time to talk you through the available options and your suitability in detail. Choose a topic below to read more about cosmetic dentistry.